For many sufferers, it’s a simple annoyance that comes and goes. For others, it’s hell on earth – with no relief in sight. For mild sufferers of tinnitus, the ringing sensation is most commonly present during quiet moments (say while trying to fall asleep at night). The sound sometimes even pulsates with your heartbeat. Furthermore, this constant annoyance can lead to a host of other health complications, including headaches, stress, fatigue, irritability, anxiety and depression. But what exactly causes tinnitus? And is this medical condition curable? There are many different factors that can contribute to tinnitus. One of the most common is damage, injury or infection to the inner hair cells in the cochlea. These tiny hairs are responsible for transmitting vibrational waves (i.e. sound) to the brain for processing. When these sensory hair cells can no longer capture and transmit sound correctly, the brain basically becomes bored and makes up it’s own sound, hence the cause and ultimate source of ringing in the ears. The bad news is that it doesn’t take much to damage these sensitive cochlear neurons. Overexposure to loud noises like loud concerts, traffic or heavy machinery is often sufficient. The vibrational hairs can also become damaged simply due to aging, which is why tinnitus appears most frequently in older adults. However, children and young teens are not immune, as a growing number of teenagers have begun exhibiting symptoms after prolonged headphone use (with the volume set too high). The question is whether tinnitus is curable. For years, the medical community was convinced that tinnitus was not a treatable condition. In other words, sufferers would have to live with the constant ringing in the ears – no matter how much it progressed. Thanks to recent breakthroughs, we now know this is no longer the case. Although tinnitus is usually a permanent condition, it’s possible to reduce the symptoms using any number of treatment options. With the right tinnitus therapy, you can train your brain to not hear the ringing sensation at all. 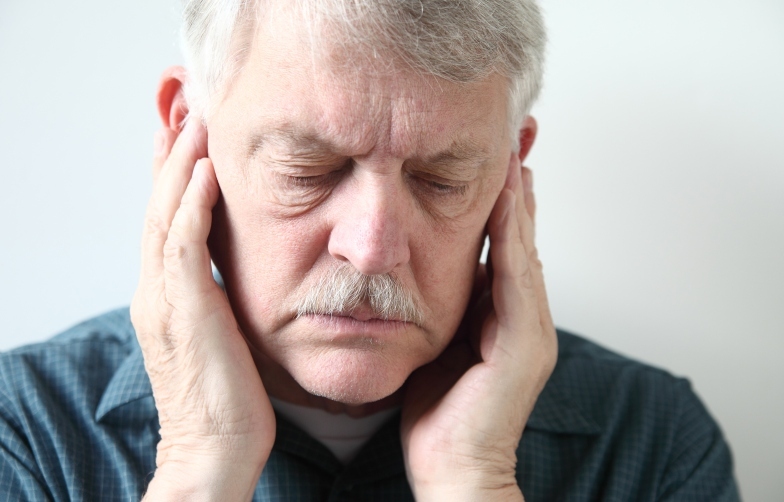 Tinnitus is often accompanied by other hearing conditions like sensorineural hearing loss. We’ve found that treating these related auditory challenges often alleviates the ringing in the ear. In most cases, this is best done with the help of hearing aids and auditory training – both of which we offer at our Sacramento clinic. Sound therapy is a tinnitus treatment option that decreases the ringing in the ear by stimulating those areas of the brain responsible for sound processing. If and when the cochlear follicles are no longer able to transmit sound properly, this treatment option gives your neurons something else to focus on. In effect, sound therapy replaces the brain’s boredom with stimulating and exciting auditory information., resulting in no more ringing in the ears. Acceptance and Commitment Therapy (ACT) is a type of psychological counseling that helps habituate you to the constant ringing in the ears. Note that the sound does not go away. With this mindfulness therapy approach, it’s possible to reduce the impact of tinnitus on your life. Which Tinnitus Treatment Solutions Are Right for Me? No two tinnitus sufferers are exactly the same, which is why the best treatment options depend on the type and severity of your symptoms. In other words, diagnostic testing is essential for optimal results. Our in-house team can conduct a comprehensive evaluation to test the pitch and loudness of your tinnitus. We then use the results of these screenings to develop a highly personalized tinnitus treatment that’s specific to you. If constant ringing in the ears is preventing you from living your best life, we’re here to help. To get started, schedule a tinnitus consultation with us today.